Depression is a serious health condition, affecting more than 1 in 10 Canadians over their lifetime. 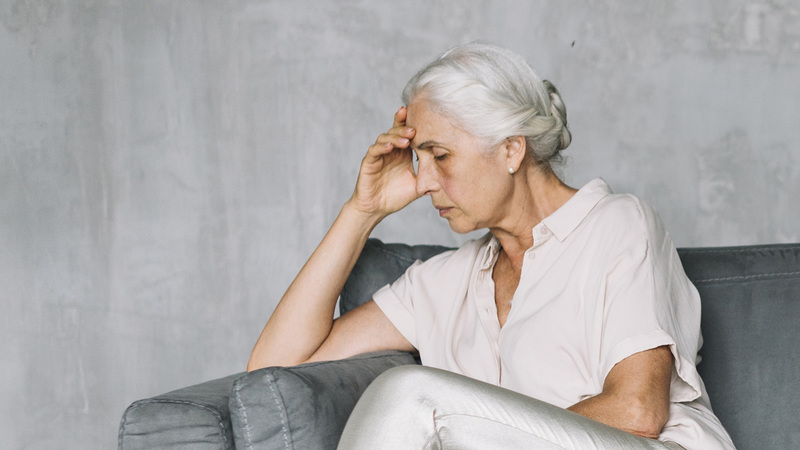 While depression can impact children and adults alike, it is actually older adults, aged 65+, who are most likely to suffer from depression, which can be exacerbated by multiple medications they may take to manage chronic health conditions. Adding to that barrier is the fact that older adults don’t necessarily present with the same symptoms often associated with depression. Instead of feeling sad or down, for example, they are much more likely to admit to lacking motivation or energy, or that their body hurts. Help your loved one find clinical resources: You can offer to drive them to appointments, and pick up any medication they may need. For assistance finding a mental health specialist, contact the Toronto Seniors Helpline: 416-217-2077, or ConnexOntario. Schedule regular social activities: Circle of Care offers a monthly Let’s Get Together program to help isolated older adults connect with each other, and there are other groups in the community that host seniors’ clubs or themed groups. “Struggling with depression is much harder for people who have lost their sense of purpose in life. To prevent loneliness and isolation, encourage older adults to occupy their time with a hobby such as gardening or painting. You can also talk them into trying volunteer work for a local charity. When an older adult has something to look forward to, that can make a huge difference in their quality of life,” says Zabolotsky. Watch for suicidal behaviour: Seek professional help right away if you suspect that your loved one is considering ending his or her life. If you need help in an emergency or are in crisis, call 911 or contact a distress centre: Toronto Distress Centres: 416 408-4357 or 408-HELP. Here is a list of warning signs and resources, from the Centre for Addiction and Mental Health (CAMH).